Manjari have forged a strong relationship with the cobble traders union, but it wasn’t always that way. In those very early days there was general mistrust from the cobble traders union about the true motives of Manjari. The cobble traders union were convinced that Manjari were trying to shut their business down and were reluctant to engage in meaningful dialogue. During those early negotiations the cobble traders union would deny the existence of child labour or claim that child labour was the only way to provide enough household income. The first common myth to dispel was that poverty is not the main reason why children end up working. There are many other factors at play. If children could be put through education there were huge long term benefits for the child, the family and the community. It was explained that employing children provided a tiny short term financial benefit but in the long term there was a huge cost as children would never have the opportunity to realise their full potential. Its worth mentioning that the cobble traders are from the Budhpura community. Finally they began to see the bigger picture, that child labour was bad for not only the children involved but for the community as a whole, their community. Bringing the cobble traders union on board was a major development for the Child Labour Free Zones Project. 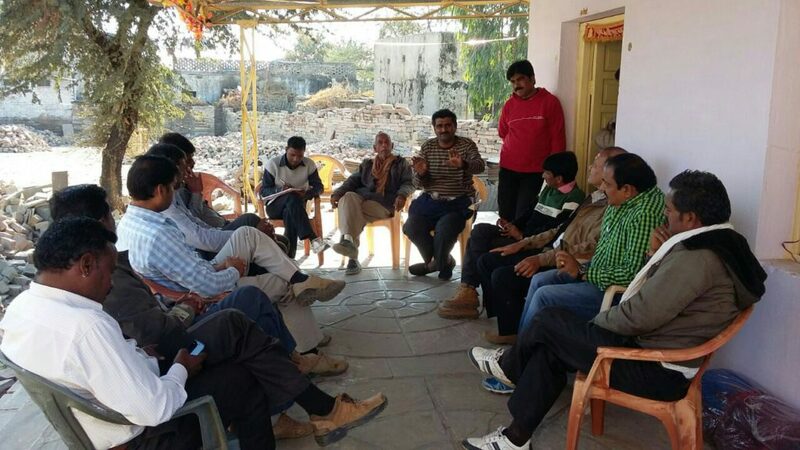 The Manjari project team and the cobble traders union members sat down to work out a strategy. The principle, that not a single child will be employed by any of the members, formed the bedrock of this strategy. No child will be employed in the cobble yards. A board stating, “Child Labour is prohibited in these premises and employing children is a punishable offence” is to be placed outside the main gate of the yard. 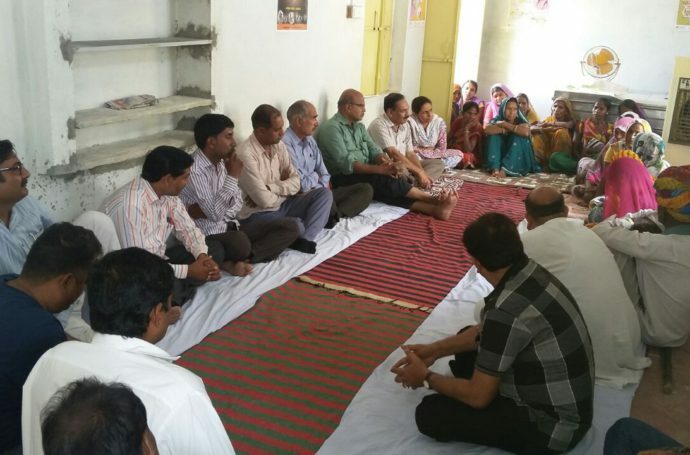 The cobble traders union and Manjari will work together to motivate children to attend school. Mr. Nissar was appointed by the cobble trader union to head up the new strategy of no children being employed in the cobble yards. The cobble traders union trusts Manjari and has close association with its team members. They also conduct quarterly meetings. The letterhead of the cobble traders union exhibits “no child labour is involved” in production of gitti. A joint committee is established, with three members of the cobble traders union and two Manjari staff, to monitor the labour in cobble yards. 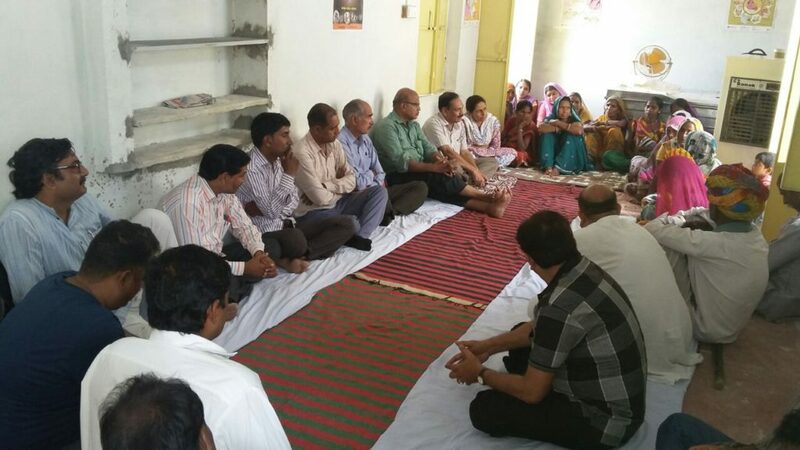 The cobble traders union has used its collective power to demand for more government teachers in Budhpura. An orphan named Vinod was provided with financial assistance so that he can finish his education. If child labour is found in a yard the cobble traders union will impose a penalty to the respective member. If the use of child labour continues, the member will be barred from the union. There is still a long way to go before we can eradicate child labour from Budhpura and the surrounding villages. Without the support of the cobble traders union though, no progress is possible. We look forward to working with them to achieve our ultimate goal of eradicating child labour in Budhpura.